This morning I got up and headed to the kitchen to do some baking. Baking, like running, is for me a calming pastime; a form of therapy if you will. It’s been a long week, after a really long campaign season, and I needed to do something mindless and productive. 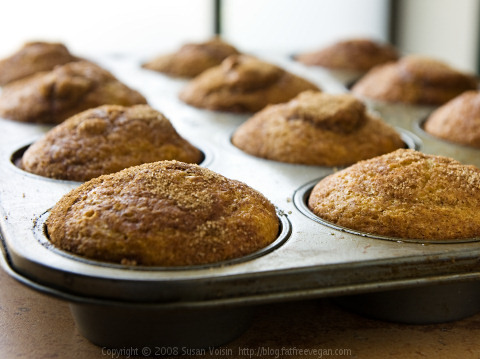 I’m happy to say before noon I had three recipes of muffins in our freezer ready for the holiday season. For me, this has been a hard week. I have ridden the roller coaster of emotions; I have listened to friends, family, and colleagues process the election; and I have tried to get a handle on my own thoughts and feelings. I have tried to speak less and listen more. I have tried to be kinder and offer support where I could. As I see it, at least today, many people are hurting and our United States is divided on many fronts. This reality brings me deep sadness and is one of the reasons for my grief. I wonder where we, as a people, go from here. But I grieve for other reasons as well. For more than a year, and particularly these past few months, the political climate has set the tone of our conversations and behaviors, as it filled the air with accusations, suspicion, anxiety, and name calling. The language and behavior present in this campaign did not bring out the best of us, as a nation and as a people. Instead of focusing on the issues important for our common life together, the tone that echoed across our land won the day, igniting anger and fear. No one person or party is responsible. Rather somehow the ball got rolling and we, the people, didn’t stop it, change it, or redirect it. I have been baffled by this experience and it has caused me to pause and reflect. As a society, I believe we can do better. And I want to work toward rebuilding trust in the communities I am apart of – among family members, friends, colleagues, and neighbors – knowing we are shaped by different experiences and not of one mind. I’m depressed about our political systems, not because Trump won but because of how we got to our final two candidates in the first place. I’m curious about what this moment will mean for our political parties in the days ahead. Will leaders use this experience for good? Will I use this moment for good? All of my life I have lived among friends and family who have different political views and claim different parties. Somehow we have managed to stay together even with our differences. But as I look at our two main political parties, both are in trouble. Both are without a center, have gone to extremes, and in many ways have lost touch with “the people” whom they seek to serve. While I don’t believe government will save us, or that it is the only way to cultivate our common good, I do want more from both our Democratic and Republican leaders. And as that gets worked out, I commit to doing my part to work for the common good in the arenas I find myself. Finally, I’m stunned and broken by the behavior and language of the president and vice president elect around women, ethnic and religious minorities, and LGBTQ persons. For months I have been without words. And I have been silent in the face of hurtful words and accusations, except for conversations within my family. My deepest pain has been this dimension of the election. I didn’t need Hillary Clinton to win to prove I matter or women can lead, but I do need to stand up when people are mistreated and treated as objects. Why did I not stand up? How will I find my voice? As a Christian, I believe loving my neighbor involves both serving and advocating for my neighbor. Electing leaders to our highest offices who treat women as objects and demean ethnic minorities rips my heart, making me scared for our shared future. Many of my friends and colleagues know this pain deeper than I do, having been mistreated because of their skin color, minority religious beliefs, and/or sexual orientation. Yet God created us all; we are all subjects of God’s love. Nothing changes that, but this election told me this core belief of mine is not shared in society. We have a long way to go in creating communities where this belief is embodied and we act from this baseline. In the months ahead I hope to turn my brokenness into action, into tangible ways I can love and serve those who feel vulnerable as we move into this new political leadership. Please, please don’t reduce the message of this post to simply whining about Trump’s victory. My attempt here is reflect on the pain and shock I experienced integrating it with what I heard from listening to others (who were both celebrating and grieving) in order to understand our country today. My conclusion is I have work to do. And I hope the church, with its many expressions and congregations, will be there alongside me working on the healing, uniting, and moving forward our society so all people are valued, cared for, and loved. Maybe you will be too. But first, it’s time for a run. This entry was posted in identity, life, What does this mean? by terrielton. Bookmark the permalink.